We offer a range of meaningful enivronmental and humanitarian service programmes that can be a standalone trip or integrated with another programme. We also offer trips to accommodate the IB syllabus CAS programme, meeting the needs for all sections of Creativity, Activity and Service. Nepal Sustainability Project - Help a local ashram build a more sustainable community through our Ecobrick and recycling project. Work with the local people to establish a system to utilize their plastic waste and build something useful that will continue to enrich and educate the community. We visit DOKO recycling centre to learn exactly where the waste ends up, and how best it can be turned into something useful. 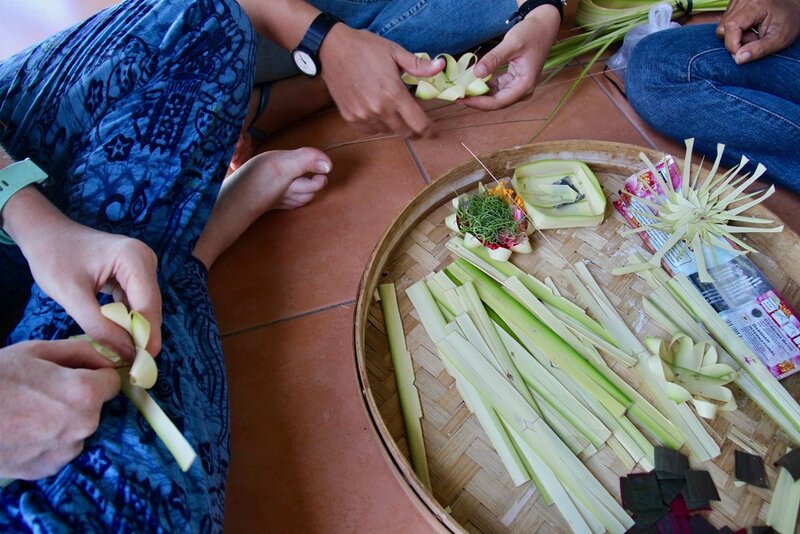 Bali Marine Conservation- At Lini Aquaculture & Training Centre, students get involved with the effort to create community-based marine conservation areas and sustainable fisheries within local communities. Activities throughout the trip include: Fish Propagation and Monitoring Brood Stocks, Artificial Reef Building, Coral Propagation, Monitoring Coral Growth on Reef, Scientific Recordings of Fish Landings and Reef Clean Ups. CAS allows students to build foundations for lifelong learning; identifying goals, embracing challenges and understanding the responsibilities we have towards each other and the environment. Encouraging students to broaden their horizons through original and creative thinking. 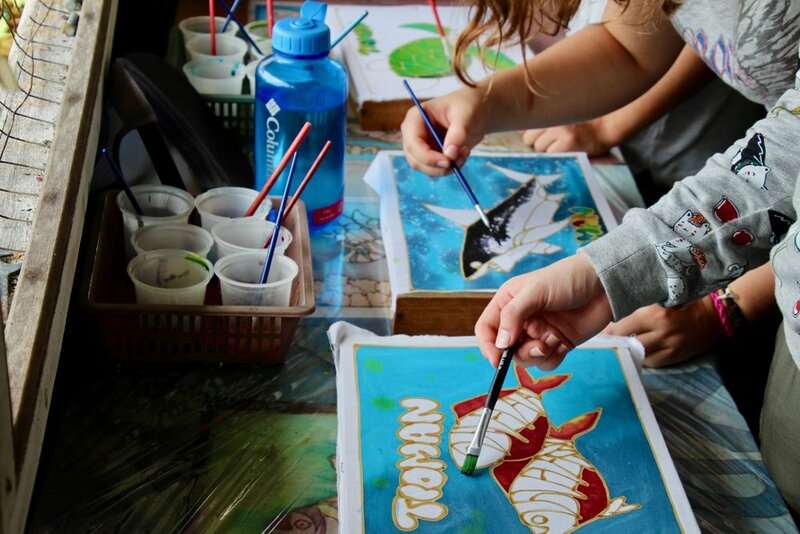 Creating art from recycled trash, designing games and activities for schoolchildren, or coming up with innovative solutions to global problems; students get the opportunity to bring their visions to life. Promoting a healthy lifestyle through team or individual challenges - matched to an appropriate level for every students’ personal goal. Join us for fun, adventure and exploration. 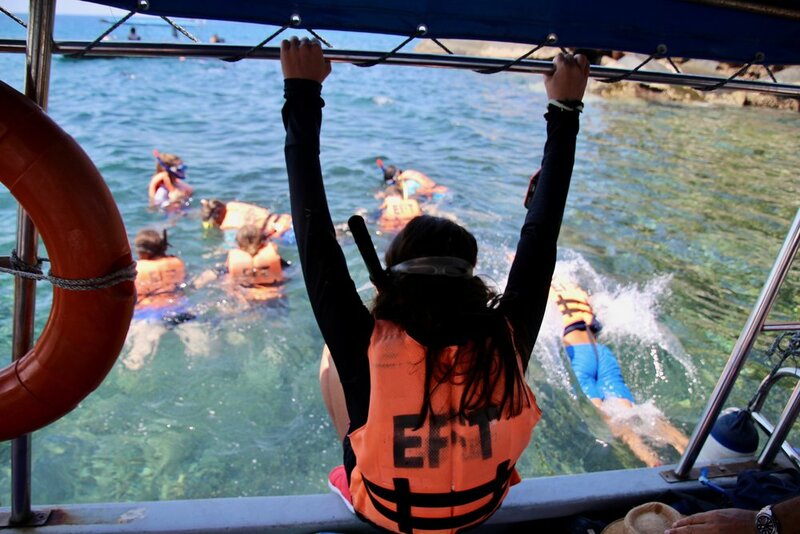 With plenty of activities on offer, including kayaking, white water rafting, cycling, trekking, snorkeling and diving, students can embrace new challenges, building their confidence and bringing them outside of their comfort zone. Service activities bring real world issues into sharp focus. Developing problem solving and social skills - students understand their capacity to make a meaningful contribution to their community, forming an international mindedness and sense of responsibility.Whether it’s getting their hands dirty in one of our coastal cleanups, working with local NGOs on coral reef restoration, or making a refugee child’s day, our service programmes give students the opportunity to take meaningful and visible action.